Enjoy the best inspirational, motivational, positive, funny and famous quotes by Antoine Destutt de Tracy. Use words and picture quotations to push forward and inspire you keep going in life! 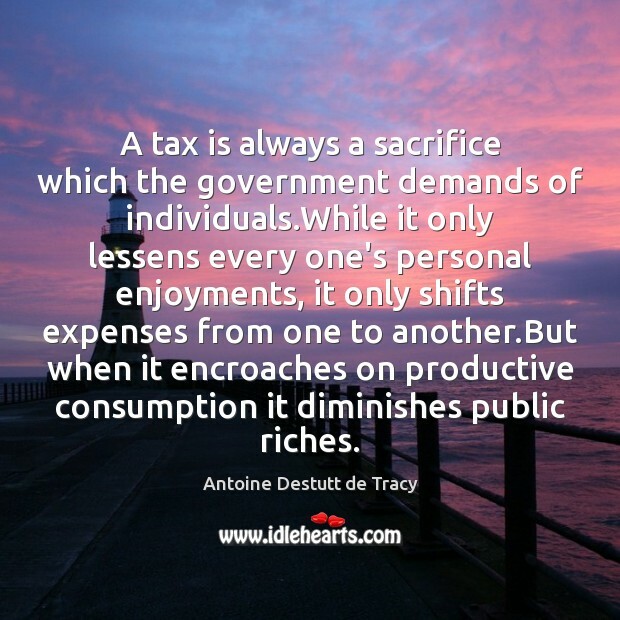 A tax is always a sacrifice which the government demands of individuals.While it only lessens every one's personal eǌoyments, it only shifts expenses from one to another.But when it encroaches on productive consumption it diminishes public riches. 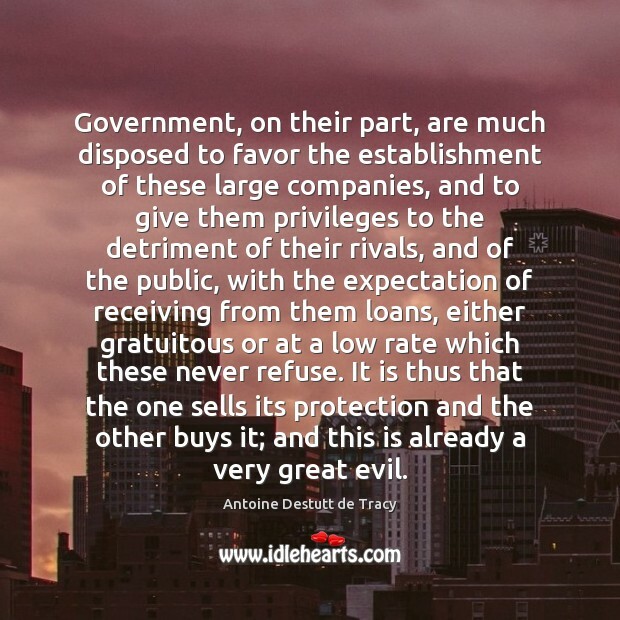 Government, on their part, are much disposed to favor the establishment of these large companies, and to give them privileges to the detriment of their rivals, and of the public, with the expectation of receiving from them loans, either gratuitous or at a low rate which these never refuse. It is thus that the one sells its protection and the other buys it; and this is already a very great evil. 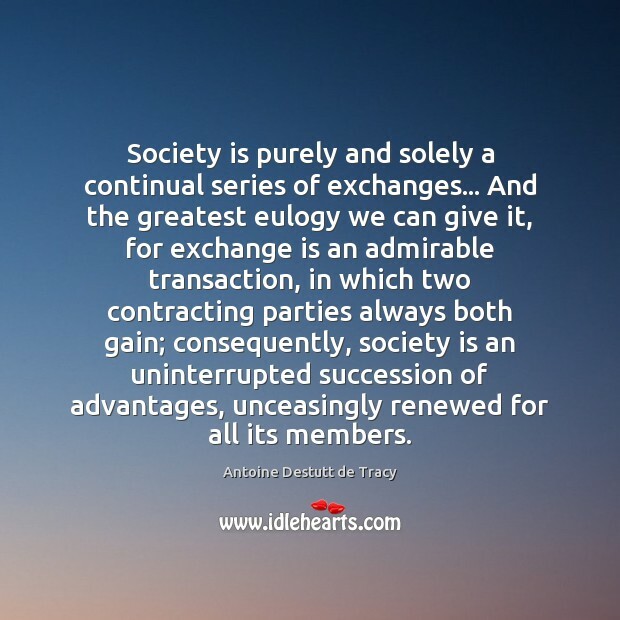 Society is purely and solely a continual series of exchanges... And the greatest eulogy we can give it, for exchange is an admirable transaction, in which two contracting parties always both gain; consequently, society is an uninterrupted succession of advantages, unceasingly renewed for all its members.